Oh, is that beautiful!!! 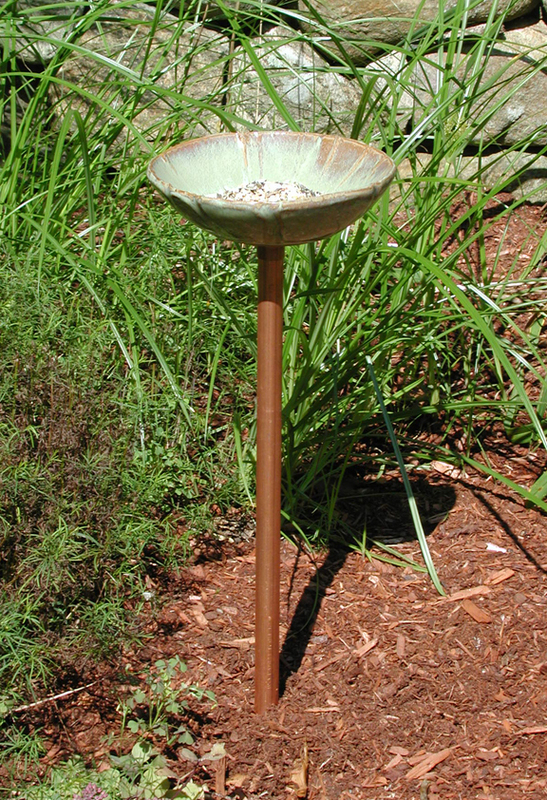 Could you make me a birdbath like that, only wider? How did you take that picture in the sun? Hi Roger – yes, I’ll make one for you. I know exactly what you want. I’m not sure about the photo – I took it a long time ago. It did come out nice though! Um, I was teasing you about the birdbath, the unending birdbath, the birdbath with a life of its own, the one that has become a sentient being. Is that a copper plumbing pipe it’s sitting on? Has it started to patina? Hi Scott – yes, that’s a copper plumbing pipe. I epoxied a copper cap (don’t know what they’re officially called) to the underside of the birdfeeder that the pipe fits into. It has started to patina in some places – over time it will look even better, I think.